Ronnie on the Spot, LLC of Lathrop, California, can handle repairs for commercial and domestic appliances at rates that can't be beaten. The best way to avoid expensive repairs is with regular, preventative maintenance. We provide yearly inspections in your home or business and check each machine and its individual components to ensure they are functioning properly. 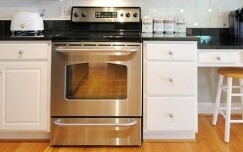 Better yet, we also educate you about ways to maintain the appliance yourself so that you can save a few extra dollars. Featured in all refrigeration equipment are condenser coils. They play a big part in your refrigeration system. By scheduling yearly and bi-yearly condenser cleanings with our company, we help you maintain and prolong the life of your refrigeration unit in your home or office. Contact us to inspect any of your commercial or domestic appliances for deficiencies or problems.